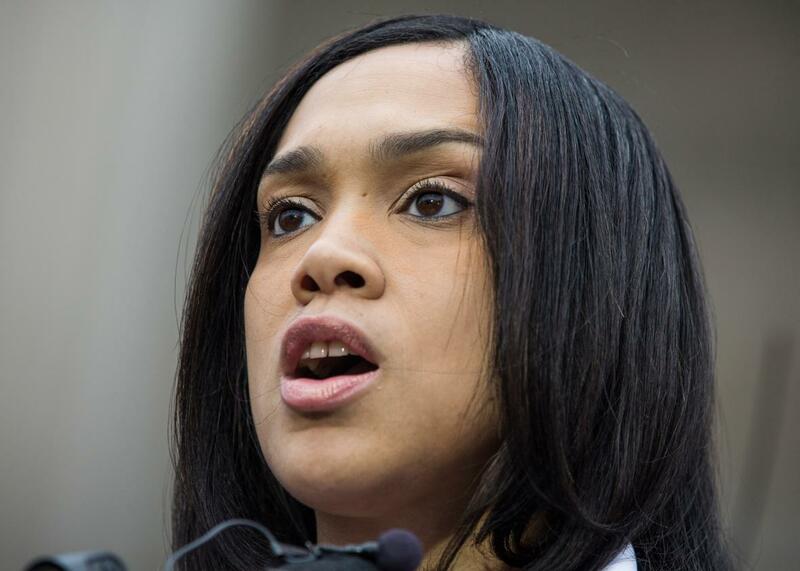 Baltimore police shooting: Marilyn Mosby announces attempted murder charges for cop Wesley Cagle. Three Baltimore Cops Shot a Burglary Suspect. Now One Is Being Charged With Attempted Murder. Baltimore State’s Attorney Marilyn Mosby filed criminal charges against police officers in the Freddie Gray case, and now had charged another officer in a separate case. Baltimore State’s Attorney Marilyn Mosby just announced that city police officer Wesley Cagle is being charged with attempted murder for shooting at and critically injuring a white 46-year-old man in December 2014. Two other officers who were on the scene with Cagle, Isiah Smith and Kevin Leary, also shot at the suspect, but are not being charged. Mosby made national news earlier this year when she brought charges against six Baltimore police officers in connection with the death of Freddie Gray. Presumably there’s a good reason why she decided, in this case, to limit the charges to just Cagle, instead of including the other two officers as well. What that reason is could tell us a lot about the difference between a justifiable police shooting and an unjustifiable one, and what it takes for officers to successfully defend their decisions to use deadly force. Update: The Baltimore Sun now has details on what took place during the moments before Cagle fired his weapon. It sounds like two of the other officers on the scene, Leary and Smith, initially confronted the burglary suspect, Michael Johansen, as he was trying to exit through the side door of the grocery store. They asked him to show his hands, according to Mosby, and Johansen refused, reaching instead for his waist. It was that gesture—which seems not to have been an attempt on Johansen’s part to arm himself, because no gun was recovered from his body—that caused Leary and Smith to fire those first shots. Johansen was on the ground, with Cagle’s partners standing over him with their guns out, when Cagle approached him. According to Mosby, Cagle replied: “No, a .40-caliber, you piece of [expletive],” and fired one shot. Johansen, who is out on bail but “awaiting trial on charges including second-degree burglary, fourth-degree burglary and theft of less than $1,000,” told a reporter from Fox 45 News yesterday that he was glad “justice is being done about it,” but that he doesn’t want the officer to go to prison in connection with the incident. “I just want him to be accountable for what he did,” he said.